Honors Physics continued investigating the charged particle model (CPM) with pith balls, vinyl, wool, acetate, and cotton. They are doing well creating the long chains of reasoning necessary to explain their observations. 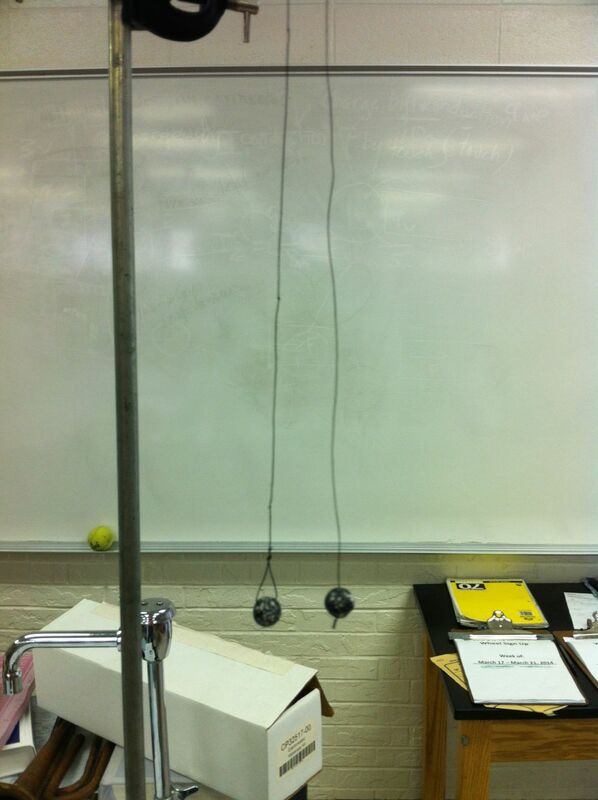 We’ll see how they do when introduced to the electroscope and charging by induction tomorrow. Although it sounds strange, I encourage students to put themselves in the shoes of an electron and ask themselves, “What would I do?” This helps them focus on the movement of electrons (as opposed to positive charge carriers) and consider what is attracting them, repelling them, and what options they have for movement (based on insulating or conducting material or a path to ground). The weather is cooperating. While I’m ready for Spring, I hope electrostatics continues to work this week!